An effective ERP system should empower manufacturing businesses to make sense of their business data. With Brexit just around the corner, it is vital that companies can trace their daily activity, products and transactions, so that nothing adds to the growing confusion. This can also be said of analysing the data in order to give companies the foresight they need to be able to make important strategic decision to increase efficiency and productivity. 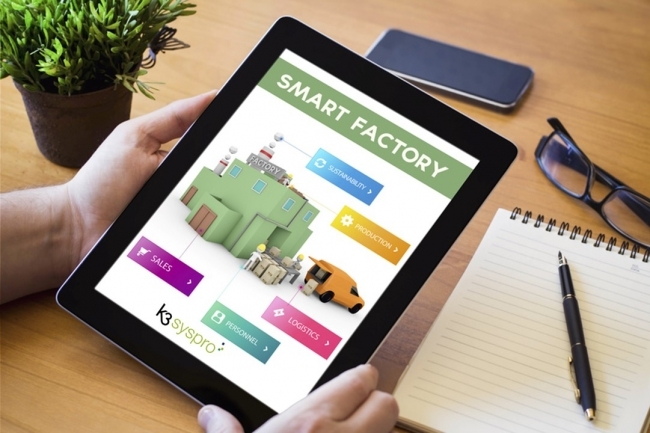 Nick McGrane from K3 Syspro explains how SYSPRO can help manufacturers with traceability, intelligence, and foresight they need to better make impactful business decisions. So many of the manufacturers we speak to are fighting through the fog of business data. They are under mounting pressure to guarantee traceability during the entire journey through the supply chain to the customer’s door. Regulations within sectors such as food and drink, automotive and healthcare require swift recall. Yet with so much information to filter, so much data to collect and interpret, how can you possibly gain that level of insight? At K3 Syspro we pride ourselves in offering manufacturers the toolkit they need to harness traceability and use ERP for the effective tracking of people, products and processes. Our portfolio drills down through the data so business leaders can interrogate every nook and cranny of the business – only by doing that can they gain the intelligence and foresight required to drive it forward. With our ERP solutions, decision makers can trace whatever product, transaction or alteration they choose right back to their source. That historical trail can highlight any issue with pin point precision. Accountability is becoming ever more important and SYSPRO Electronic Signatures provides authentication for all areas of system activity. As well as password-controlled authentication, it traces who did what, when and where. When tracking products or processes, SYSPRO’s Lot Traceability module allows manufacturers to maximise quality control and facilitate swift product recall by tracking the journey any given material has made through the business. It assigns lot numbers when goods or materials are received and offers a series of extra features including inspection of lots during purchase order and work order receipts, shelf life and expiry date tracking. SYSPRO Sales Analysis allows business leaders to see a detailed trail of all areas of sales activity to identify tends and areas for improvement. Meanwhile, SYSPRO’s Accounts Payable module continues that traceability by providing full purchase order receipt and invoice history. It is also imperative manufacturers can track any alterations made during the design and production process. User-defined workflow can be applied through SYPRO Engineering Change Control (ECC) for the streamlined control of product design changes. That traceability super power afforded by effective ERP is a key part of the overall package, particularly for customers faced with stringent regulations. For instance, our customer Fleet Laboratories is the manufacturing division of DDD, producing pharmaceuticals, toiletries and household products. The business recognised it needed to streamline its internal processes and introduce integrated control systems across its sites. Our software gives business leaders the strategic foresight required to interrogate all aspects of the operation from the shop floor up and use the intelligence gathered to improve the bottom line. Our commitment is to provide real time insight into what is happening in every team and every department across the business so that decisions can be made quickly, correctly and in confidence. Using software such as QlikView, which combines Reporting, Business Intelligence and Web Query into a single product, data can be collated from a from a variety of sources, ensuring all information is accessible in real time and from one central system. SYSPRO’s Reporting Services module provides more detailed insight through high quality financial and operational reports and documents, together with visual analysis capabilities. Decision makers need key information at their fingertips. SYSPRO Analytics providing fast access to all business data, whilst Exec Dashboards offer interactive visual representations of that real-time data. Effective forecasting can be achieved through a variety of SYSPRO accounting modules. SYSPRO’s General Ledger Financial Ratios provides at-a-glance assessment and monitoring for instant insight and clear decision making. SYSPRO Cash Book provides system-wide bank reconciliation, as well as tracking information on cash inflows and outflows. Meanwhile, SYSPRO Budgets & Targets helps plan revenue and expenditure based on expected performance within a given timeframe. Our products also allow for more effective inventory management. Inventory Families and Groupings provide the inventory visibility required to make and measure sales forecasts. Inventory Forecasting identifies those products that contribute the most to your business, whilst Inventory Optimisation models different “what if” policy scenarios. Whatever the product, our solutions provide manufacturers with critical insight into every nook and cranny of their business, ensuring the right information is available to the right people in the right place and at the right time. Such insight, gives manufacturers an invaluable competitive edge. 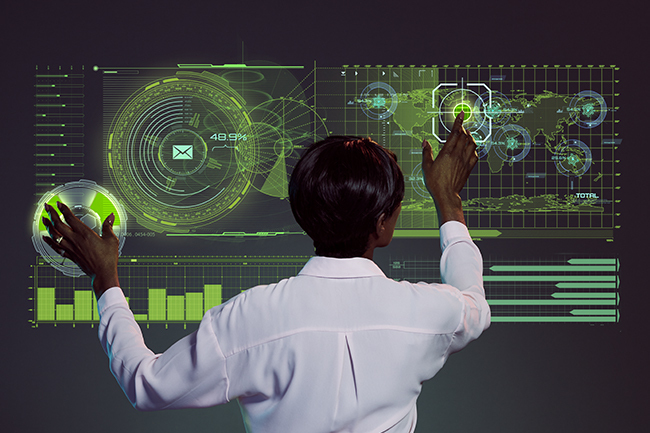 On the journey to Industry 4.0 compliance, strategic decision making is key and effective ERP can open the door to a plethora of new opportunities. Come and talk to us about how our software toolkit can help you take your business to another level.